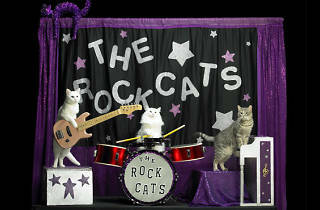 Photograph: Courtesy the Acro-Cats The Rock Cats. Your cat can push things over, scamper around like a possessed demon and ignore commands, but can it do all of that in front of a paying audience? Enter the Amazing Acro-Cats, a troupe of over a dozen cats (former orphans, rescues and strays) that dazzles feline-loving audiences with its circus-inspired routine. The cats perform—when they feel like it—under the direction of "chief human" Samantha Martin. 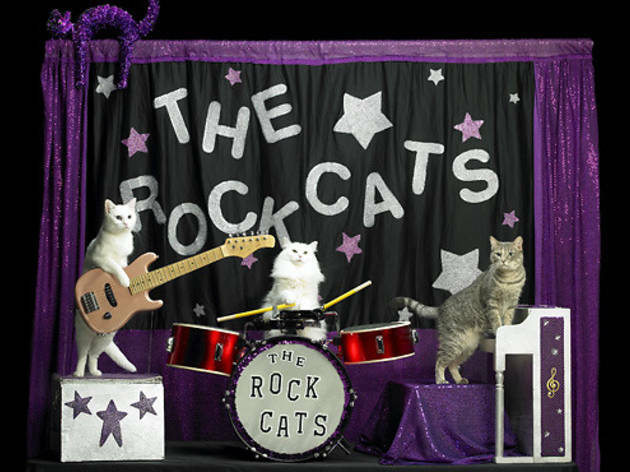 Plus, after the routine, cowbell player extraordinaire Tuna leads a performance by the Rock Cats, the most adorable noodly band in cat (and chicken, thanks to drummer Cluck Norris) history.